Wow! So much eye candy in one post! Luv it! Great idea on the scrap buster string quilt...I'm going to have to try that! Thank you!! Do you sew your strings to muslin/paper or just together and cut them to the block size? Oh wow!! Your string quilt is just amazing!! 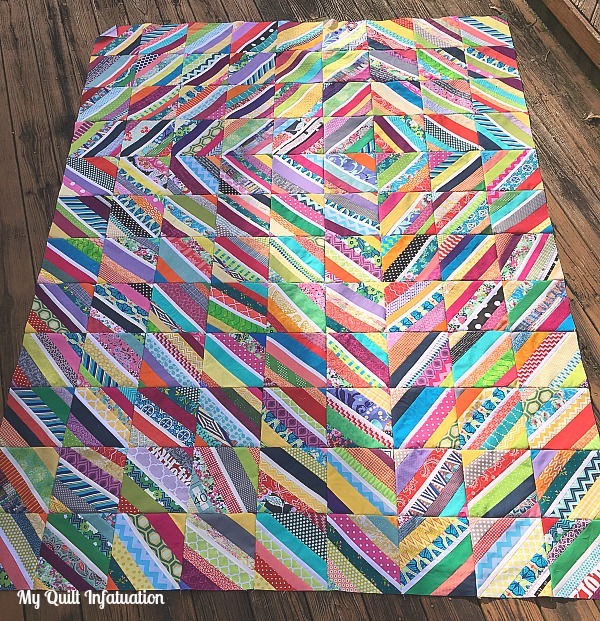 I love how clever quilters can be when it comes to scraps, and this is no exception! 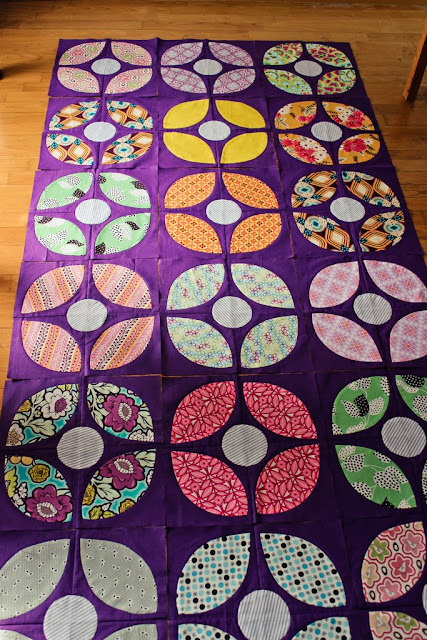 Your string quilt is the prettiest I have seen, color combinations are nice and bright. Thanks for sharing! Doozie? I thought that was a negative term. I can only think lovely thoughts when I see that string quilt top of yours. Congratulations on your finished scrap quilt! It's gorgeous! I'm curious about how you pieced the blocks. Do you just sew all your strips together and then subcut them diagonally into rectangles, or do you use a foundation of some kind? Your scrappy is so cute. Love the offset layout. So funny about those scraps!! 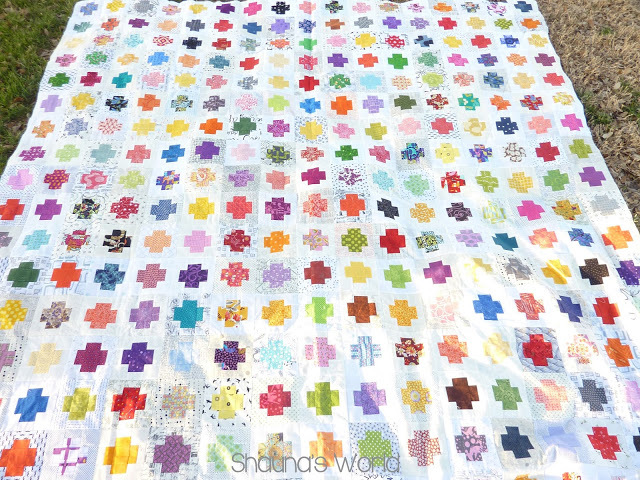 A lovely quilt like yours SHOULD make a big dent in the scraps but somehow it's barely a dent! Love your strings quilt. The little strip of white really pulls it all together. Funny how scrappy quilts never use up our scraps. It seems they just create more. I have been rather AWOL from blogging lately and need to catch up on my reading. Always love seeing what you have going on. Love your string quilt! I'm also making one for my RSC Challenge! Yours encourages me to continue the process!Thank you for sharing! Amazing scrappy quilt. It's so colourful. 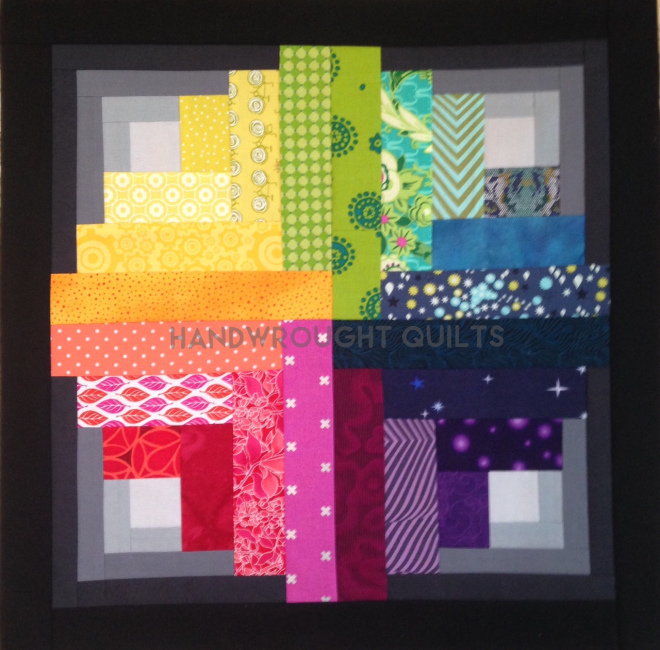 Thank you so much for featuring my quilt this week and for your kind words about it! It was a blast to make. And I love your string quilt too. I've got a large-ish pile of strips myself and want to make a string quilt. Have a great weekend! Love your scrappy strings! Very bright and fun. That's a lot of scrap busting!